Are your kids ready to launch into hyperdrive this summer? They won’t want to miss a minute at Time Lab, the most welcoming place around! Kids will discover Jesus from eternity past to eternity future as they enjoy songs, crafts, games, and goodies. Vacation Bible School at Time Lab will be a quantum leap of fun and excitement, so plan to join us for an amazing time travel adventure! It is not required to pre-register, but if you already know you plan to attend, please submit your child's information now. But friends and kids are welcome anytime! Questions? 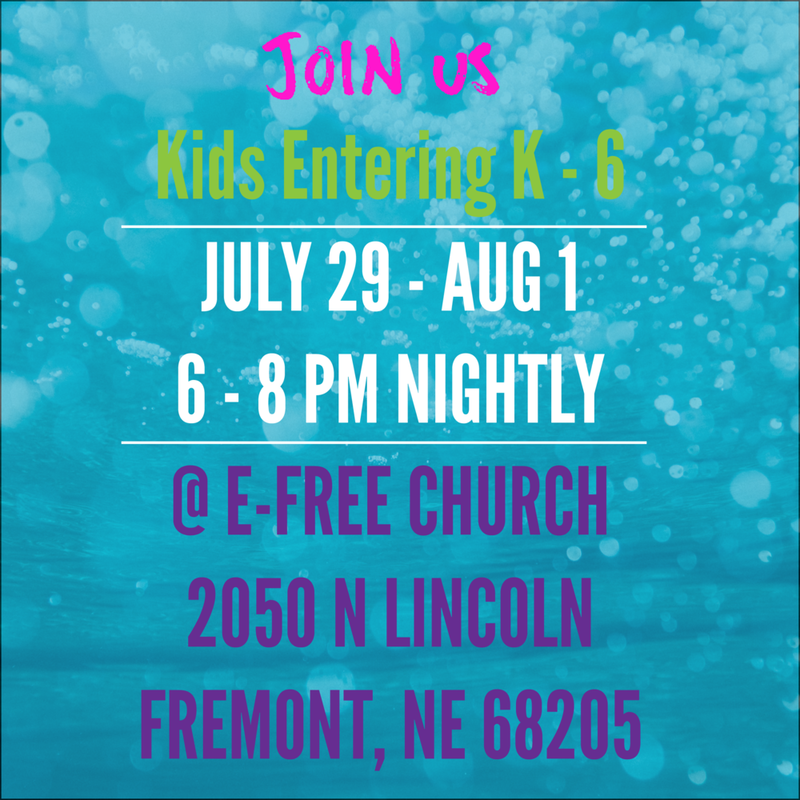 Please call the church office at (402) 727.9601 or talk to Beth Olson and Ginny Harmon. If you have more than 3 children to register, please submit a second form. If applicable, please list anyone else who you approve to pick up your child from VBS. Please specify which child if you are registering more than one.